“I am really, really good at making money…” is the opening line of Erik Bergman’s video on Great.com. The video from the 30-year-old Swedish entrepreneur tells of how he made $15 Million in one day on his 28th birthday. While the feeling was great, it didn’t last long. He soon asked, “Is there anything more?” The landing page states that he paid $900,000 for his name Great.com, which is the sales price listed on namebio.com for confirmation. I recall first reading about this sale on TheDomains.com back in January. A friend told him about a charity project in Western Africa to teach kids about computers. As Erik tells the story of the school, there is a real sense of passion for these kids and their well being. He began to think about how he could contribute. He decided that he should do what he does well… make money. And give that money away. Great.com will be all about making money and giving it away. Mike: Erik, lets back things up and start with your business that you sold on your 28th birthday. What was that business and how did you manage to build it into a $15 million-dollar company? Erik: Sure, the company is called Catena and it’s a very big affiliate company working in several different verticals, most is focused on SEO and PPC but there is also a lot of Facebook, email and media buying involved. Everything started out more like a playful hobby than a big fancy business plan. It was me and my childhood friend Emil in his parents’ basement. We started a small web agency and helped local companies with their websites. This never took off though and we were struggling to stay in business. Instead we started building affiliate websites about online bingo and pretty soon this became our main business. This was back in 2008 and until 2012 it was more or less just me and Emil. We were doing everything ourselves and it was just as much focus on playing around and testing new things as it was about building a company. We became fairly successful in all kinds of niches and were selling everything from insurances to business cards, hotel nights to fashion, main one was still bingo though. In 2012 we restructured everything and sold half of the business to an investment company. They came in with a lot of knowledge of how to build a proper organization, how to scale and how to set bigger goals. 2013 became the year when we hired like crazy, took on far too much costs and almost went bankrupt. The results I was planning for didn’t show and I was stressed out of my life. Late 2013 things finally turned around and 2014-2015 became really good years for us. We went from 12 employees in 2013 to 80 I 2015 and in February 2016 we went to the stock market. All in all, the company was then valued at about $200 million. Mike: Are you working now or is Great.com your 100% committed passion? Erik: I stopped working in Catena 31st December 2017 so now Great.com is going to be my 100% passion. I’m not going all in from day 1 though. The journey with Catena took a lot of my energy so I want to make sure I am in really good shape both physically and mentally before I go all in again. I was very close to being burned out during the most hectic years and I don’t want to make that mistake again. Mike: What is your vision for Great.com? Can others get involved? Erik: The vision with Great is to build a for-profit company that gives everything away. I want to create a workplace for everyone to use their best skills and till add a purpose to it. A designer working in a regular company is just making designs, a designer working in a company that gives away all profits away, is making designs AND saving lives. I want to create something where tech people can utilize their best skills, still earn money as if they were working in a regular company AND do something truly meaningful. There will be plenty of room for others to get involved. At this stage the best thing is to do exactly what you are doing now Mike, get the story out. Down the line there will be tons of other options so keep an eye on Great.com to see what shows up. There will be more info pretty soon and I’m setting up an email list where people can follow the updates. Mike: Have you ever purchased a premium domain name before? Did you know what to expect? 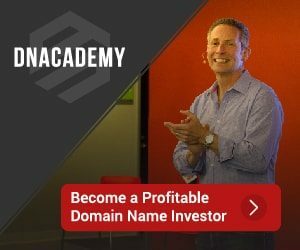 Erik: I’ve bought several high value domains but nothing close to this. I’ve been involved in several different deals between $10-40 000. This was actually very similar to that regarding how the negotiations etc. were done. However, my heartbeat was drastically different! Negotiations in general are the same regardless what is being bought and it’s the same emotions that are being triggered. I remember the first important site I bought back in 2011. It was for roughly $40 000 and I was just as emotionally involved in that one as I was in the $200 million IPO. Mike: You spent $900,000 on this name. Why not just donate that money and call it a day? Erik: It’s a very valid question. Probably the first one I would ask as well. I want to create something that’s much, much bigger than a $900 000 donation can be. I am aiming for billions. When that is my goal the name will be super important, and a $900 000 investment can be worth a lot more than that down the line. Anyone who is involved with domains know how big difference they can make. This is not just a domain, this is a brand, this is something that shows everyone that I’m taking this very seriously. Mike: Tell me what it’s like to shop and purchase a domain of this caliber. Can you walk us through how you selected this name and the purchase process that followed? Erik: As I mentioned above, it’s fairly similar to buying any other domain. It’s just a few more zeros on the transaction. I really wanted a name that everyone had positive connotations to. That would work for any industry and for anything. That would be good for both a charity and for a for-profit company. For me “Great” is a word that meets all those criterions and at the same time it’s easy to spell, easy to remember and everyone even if they don’t have English as their native language knows what it means. The negotiations started with an email before I even knew about the auction. I put in the big far lower than I thought they would accept. They went far higher than I would pay and then we took it from there. Just as if it was a $1000 domain. We didn’t manage to find a deal so when I found out about the auction I felt like this was my time! Mike: Are you concerned at all that running a site for charity may be different than running a business? Erik: No, not at all. If we would be in need of donations I would be worried but now we won’t be. Instead I’m very excited about being able to work for a purpose myself but also to be able and provide this for anyone else who will get involved. I think it will be a lot easier to find great people when they feel that they can be a part of something big! Mike: Your opening line in the video is a bold one. I am really, really good at making money. In your opinion , is that a skill that you either have or don’t have or is it a skill that can be learned? Erik: Yes, it’s a bold one. I want to be a charity like nothing else so then it will be important to stand out. When it comes to making money, this is definitely something that can be learned. Like everything else. I would however start with something unconventional – happiness. Start by learning about emotions and what it takes to be positive. Personal development guru Tony Robbins talk a lot about these things. I believe that it’s a lot easier to make money if you have a positive view on people and on life than if you don’t. If you manage to be positive you might care a lot less about the money as well but still have a great life. I spend a lot of my time practicing gratitude and positive vibes. I think that’s one of my biggest strengths – and it has definitely helped me a lot in business! Mike: That sounds great! If the readers want to find out more about you and the project, what can they do? Right now, there isn’t much info on Great.com but there will be pretty soon. In the meantime, they can visit my personal site ErikBergman.se. It will give a much better image of who I and what my views are on life. It will paint a better picture of my vision and ambition with Great as well. Thank you very much for having me Mike! Could you handle 5,000+ domain submissions a week?